In the event of severe chest pain, do you self diagnose the problem, or seek advice from a specialist? There’s a lot of hype around the place suggesting that quality antiques are a dime a dozen. Much as we love the program, unless you know otherwise, the Antiques Roadshow of the world would have you believe there's a goldmine waiting around every antique corner. In reality, the opposite is the case. The world is full of mediocrity, and with every passing year, because of the limited supply, good quality antiques become scarcer, and this trend is likely to intensify as the world becomes wealthier. Chinese buyers are now very much in evidence in Europe, buying back their own Asian antiques, however they also appear to be developing a taste for high quality European items as well. Which brings us to an interesting question. In the event of having a serious legal problem, do you represent yourself in court? Do you manufacture your own air-conditioning system and do you service your own motorcar? 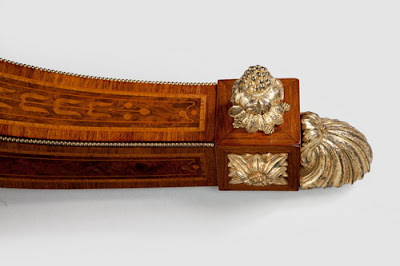 If the answer to these questions in general, is no, then we would ask, why is it that so many individuals take it upon themselves to decide that a piece of antique furniture is either one, authentic and two, of good quality or not. Having done so, why is it they then proceed to hand over large sums of money to purchase from little known websites and auction sources, which provide no written authentication or proof of expertise? As dealers in antiques over four decades, we at Wallrocks find it is distressing to observe the problems that are foisted on an unsuspecting public. It’s now a regular weekly question from internet bargain 'experts', ‘How come your Louis XV chair is $3000 when we saw one on ebay for $700? The answer to this question, quite simply is of course, that the chair for $700 is not the same as the chair for $3000. And… in the unlikely event that it is then buy it. The point being, unless you're trained in the area, how do you know? It takes some expertise and experience to tell the difference. Wallrocks have been at considerable pains and expense on our website to provide a magnifying or zoom facility so that people really can look at detail. DETAIL IS EVERYTHING. 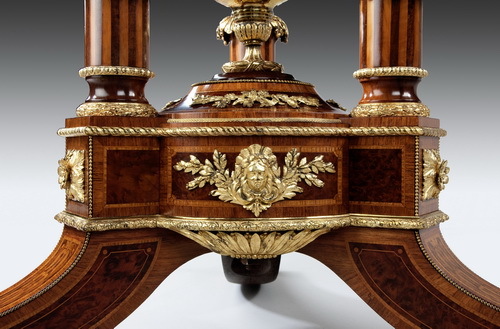 Well-executed, beautiful detail is very expensive to produce and is rarely if ever seen in replica reproduction or fake furniture. We hear every day that in this changing world of online buying, that the retailer is no longer necessary. The implication being that the Internet somehow makes everyone an expert in every field, and the need for qualified expert intermediaries is therefore no longer necessary. One might only imagine what might happen if members of the public were to opt to start performing open heart surgery on themselves after reading a step by step guide online. The result is the same with self-diagnosis of antiques. If anything, the advent of the Internet and Internet buying makes experienced and trustworthy individuals and businesses more important than ever. This applies across all specialties and is particularly relevant where significant sums of money change hands. The Internet is convenient, quick and everyone’s doing it. So what do you do? We believe it can still be done, but there are a few rules of thumb you might want to take into consideration prior to purchase online, in auction rooms or in-store. Read on for our safeguards to help when buying antiques.